If you are spending winter or visting Barra de Navidad during the months of October, November and early December you will probably have noticed in the evenings around 5:00 or 6:00 pm small groups of people gathering in businesses, restaurants, or houses in front of a small altar with an image of the Lady of Guadalupe. These people get together to pray the Rosary during 46 days starting October 28th. and finishing December 12th. The groups are organized by neighbors who live or have businesses closed by in the different sectors of Barra de Navidad and Barrio San Felipe de Jesús. People in the group take turns to host a reunion that last about an hour, the host also sets the altar in their house or business where the group will pray the Rosary that day, and after finishing praying the Rosary the host invite their guests for a small appetizer like tacos dorados, rice pudding, or just a soft drink or agua de jamaica. After finishing the appetizer the group go in a small pilgrimage carrying the image of the Virgin of Guadalupe, flowers and ornaments for the altar and singing to the house of the host where the Rosary will be prayed the next day. A small start will also be hanged to the dress of the image and a collection is made for members of the group to buy flowers, or contract a Mariachi band on December 12th. when the Lady of Guadalupe feast is celebrated. The last day the group get together is on December 11th. when all the different groups take their images to the Barra de Navidad church. A rosary and pilgrimage to the main church with the Lady of Guadalupe images. A mass is celebrated usually at 9 pm and a serenade "mañanitas a la virgen" with live music (mariachis or a band ) for the Lady of Guadalupe is played after the mass. Lady of Guadalupe Feast on December 12th. A pilgrimage and "Danzas" to the Barra de Navidad Church with the Lady of Guadalupe images and starts participating families of Barra de Navidad and from the San Felipe de Jesús barrio. This pilgrimage starts in the highway by the football field (corner with Nueva España Ave.) and ends in the Barra de Navidad church in downtown. A mass is celebrated after the pilgrimage. 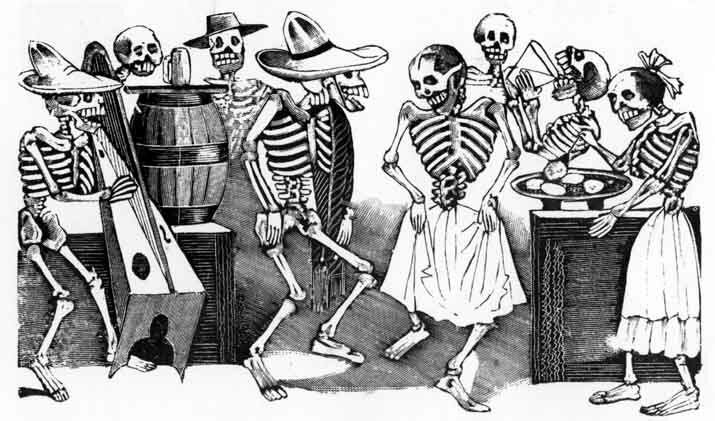 Day of the Dead in Mexico: Cempasuchil flowers, Calaveras images of Posada, Calaveras poems, Don Juan Tenorio, Xantolo, Hanal Pixán and more. The Indigenous Festivity dedicated to the Dead in Mexico was proclaimed in 2003 as an Intangible Cultural Heritage by UNESCO. The celebration of the Day of the Dead begins in some parts of Mexico on the last days of October until the first days of November, where November 1st and 2nd are the most important days. It can be as simple as lighting some candles at home to remember the loved ones who have died or to visit them in the cemetery, cleaning the tombs and bringing them flowers . The most popular flower is the cempasuchil [marygold] originally from Mexico), candies like charamuscas, alfeñique and some food. It is also common to set up an altar which is a Pre-Hispanic tradition, either at home dedicated to family members or in public spaces, dedicated to public figures like artists or national Heroes. 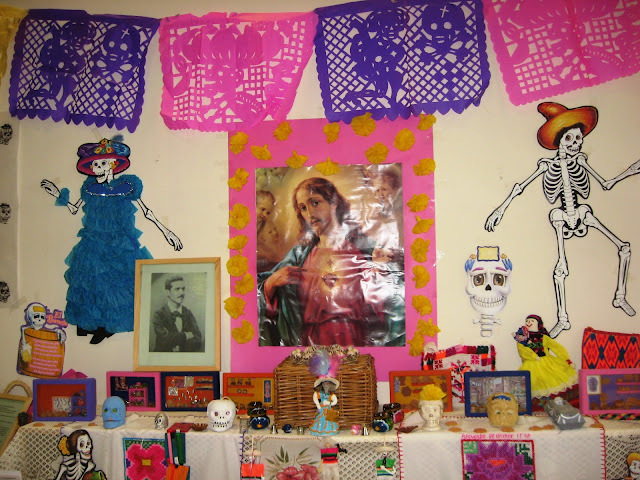 The altar is decorated with papel picado , fruits, flowers, pictures of the deceased, and sugar skulls. 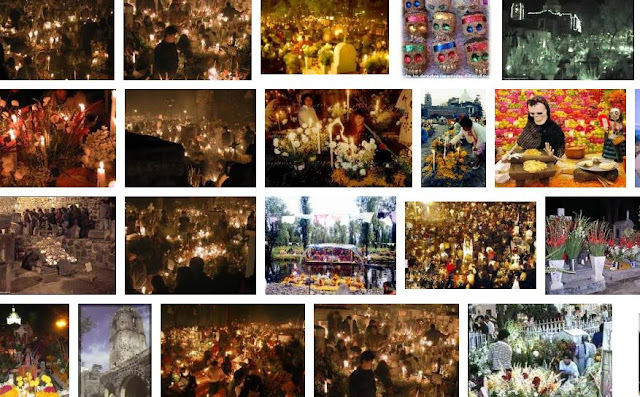 Probably one of the most known Day of the Dead celebration outside of Mexico is the one celebrated in Janitzio a small town in Michoacan.One of the best "Day of the Dead" festivals is Festival Cultural de Calaveras in Aguascalientes . 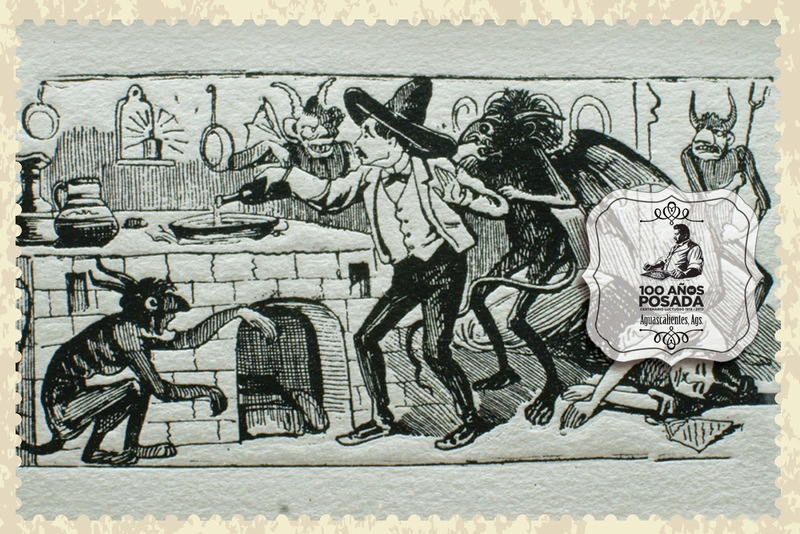 This festival is organized to honor great cartoonist illustrator and artist Jose Guadalupe Posada who was born in Aguascalientes. His images of "calaveras" (skulls) where the most popular is La Catrina are associated with Mexican Day of the Dead celebrations. There is a proposal by Mexico to UNESCO to include Jose Guadalupe Posada's legacy as part of the Cultural Heritage of Humanity. 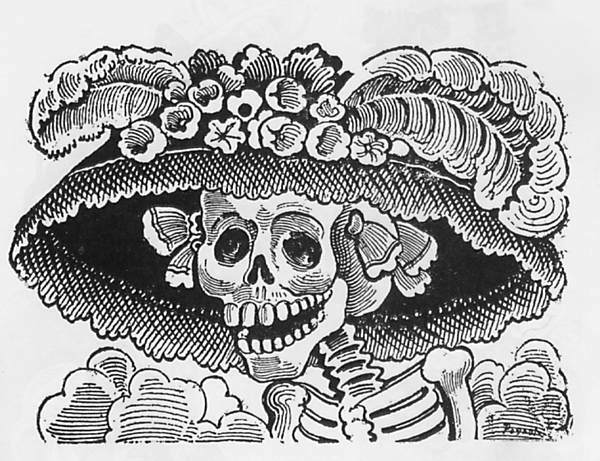 Although on this article published by El Universal based on research made by historian and journalist Agustín Sánches González seems to be a controversy about who is the author of the famous Catrina, many recognized is Jose Guadalupe Posada, but, it was originally named it "Calavera Garbancera" and the first published image that has been found is from 1913. Diego Rivera designed the body and named it "La Catrina" when he add it to the mural "Sueño de una tarde dominical en la alameda central". Another popular Mexican tradition are "calaveras" poems, these are humoruos obituaries about well-known people within any kind of community, schools, companies, etc but the most famous are the ones published in newspapers about politicians and actors. Calaveras are published on November 2nd. like these from El Universal newspaper. Don Juan Tenorio of author Jose Zorrila is a theatre drama presented also mainly during November, there are dramatic and comic versions of this drama. 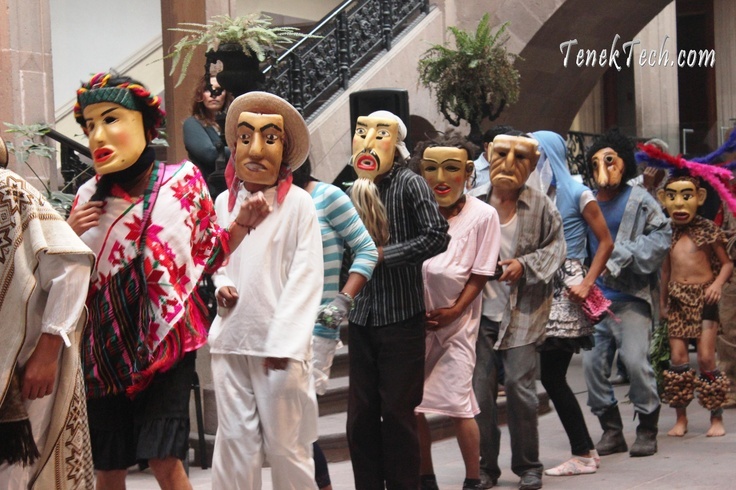 This presentation of Don Juan Tenorio in the Teatro Degollado in Guadalajara is a dramatic version. 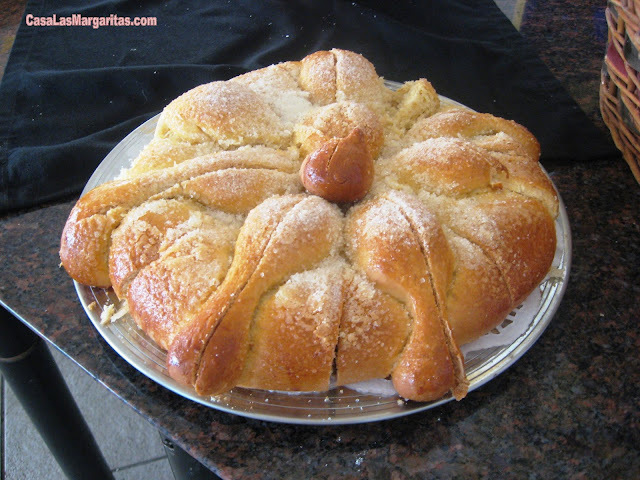 You will find in public markets during these days: Calaveras (skulls) made of sugar (alfeñique), amaranto, chocolate, charamuscas, pan de muerto (day of the dead bread) and mazapan candies. Festival Cultural de Calaveras in Aguascalientes : Jose Guadalupe Posada cartoonist, illustrator and artist creator of the famous Catrina was born in Aguascalientes. This festival has been created to honor him and to promote the preservation of the Mexican traditions to celebrate the festivities dedicated to the dead. 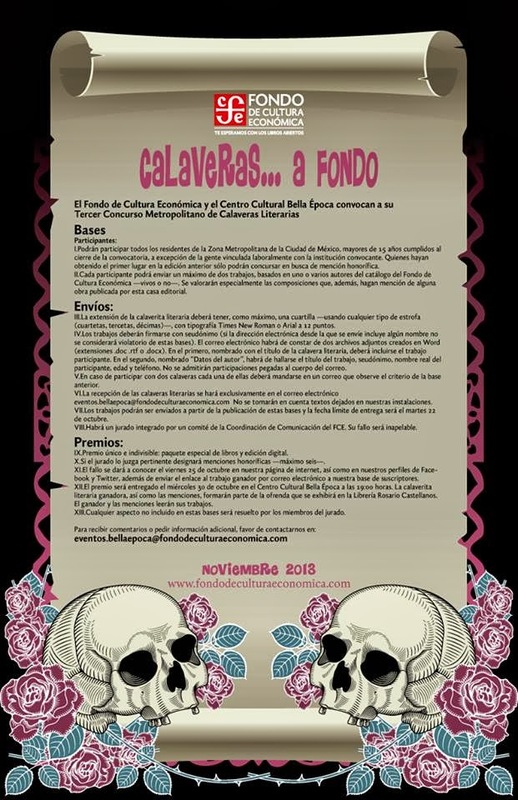 Fondo de Cultura Económica - Concurso de Calaveras Literarias "Calaveras a Fondo"
Concurso de Calaveras Literarias "Calaveras a Fondo"
Cada año El Fondo de Cultura Económica y El Centro Cultural Bella Época convocan a su Concurso Metropolitano de Calaveras Literarias. Para recibir comentarios o pedir información adicional favor de contactar eventos.bellaepoca@fondodeculturaeconomica.com. Visit : Dia de Muertos en Oaxaca. 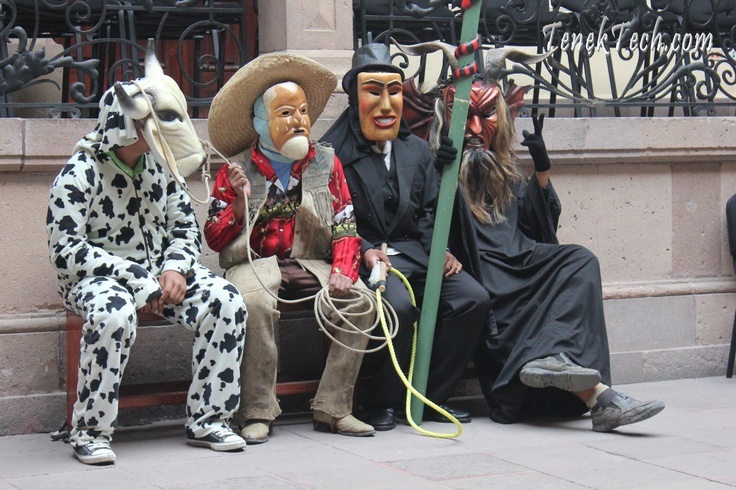 Read article: How Manzanillo celebrates "Day of the Dead"
INAH Documentary "El Juego de los Diablos"
Xantolo: Dead Festivity in the Huasteca region . Hanal Pixán is the Mayan celebration for the dead in Yucatán and Campeche. The celebration begins with "U Hanal Palal" dedicated to the souls of the departed children. November 1st celebrates the adults departed wit the "U Hanal Nucuh Uinicoob". On November 2nd "U Hanal Pixanoob" or "Misa Pixan" is a mass dedicated to all souls generally celebrated in the local cemetery. An altar is set in the houses to honor the deceased and the most traditional altar has three levels that represent heaven, hearth and the infraworld. Red the rest of this interesting article here. The celebration for the dead in Pomuch Campeche is very unique as family of the deceased visit them in the cemeteries around October 28. For those who have died at least three years before, the families clean the tombs but also the bones and covered with embroidered napkins. The reason is that when the souls of the deceased comeback on November 2nd they will find their bones clean. The napkins used to cover the bones are embroidered with figures related with the personality and age of the deceased loved one. The napkin represent the clothing of the deceased and must be new, otherwise the soul won't comeback to visit the tomb.